The Northern Rebellion of 1569, sometimes called The Rising of the North or The Revolt of The Northern Earls, was a major rebellion against Queen Elizabeth I. It was the first of her reign and was led by two powerful northern lords, Thomas Percy, Earl of Northumberland (1528-1572), and Charles Neville, Earl of Westmoreland (1542-1601), in the autumn/winter of 1569. The rebellion came after an eventful two years in British history, years which saw the forced abdication of Mary, Queen of Scots, her escape from imprisonment, and her subsequent arrival on English soil. Mary's arrival in England was a political and personal disaster for Queen Elizabeth. Not only was Mary widely believed to be the next in line to the throne (being Elizabeth's next of kin on her father's side) but she was a Roman Catholic. In the eyes of many Catholics, at home and abroad, Mary was considered the rightful Queen of England. They, like Mary herself, believed Elizabeth was illegitimate, as they did not recognise her father's marriage to her mother, Anne Boleyn. Mary also had what Elizabeth did not: a son. The succession was a thorny issue and had been since Elizabeth became queen, and many were worried about what would happen to the country if Elizabeth died without an heir of her body. There could be civil unrest or even civil war. Mary was thus an attractive alternative Queen to many of Elizabeth's Catholic subjects. As Queen she would restore the Catholic religion, which still had strongholds in some parts of the country, especially in the north, despite being illegal, and she would end tensions with Catholic Europe. Also, by virtue of her infant son, James (now King of Scotland), she would settle the matter of the succession. Elizabeth and her advisors knew that the Queen of Scots was an attractive prospect to a number of her subjects and, for this reason, Mary's arrival in England put Elizabeth and her government in a dilemma. Just what were they to do with her? Given her fate, Queen Mary may always have regretted escaping to England rather than to France, but at the time she believed Queen Elizabeth would help her reclaim her Scottish throne. But Elizabeth was reluctant to raise an army to fight Mary's battle. She feared the soldiers would not prove loyal and try to make Mary their Queen instead. Equally alarming was the prospect of letting Mary escape to the continent to raise an army there. So, in the event of not knowing quite what to do with her, the Scottish Queen was kept in England a virtual prisoner. Some of Elizabeth's most powerful lords, however, including the Earls of Leicester, Arundel, and Pembroke, had their own idea what to do with the Scottish queen : marry her to an English Protestant lord. They believed this would, in one stroke, solve all the country's problems. 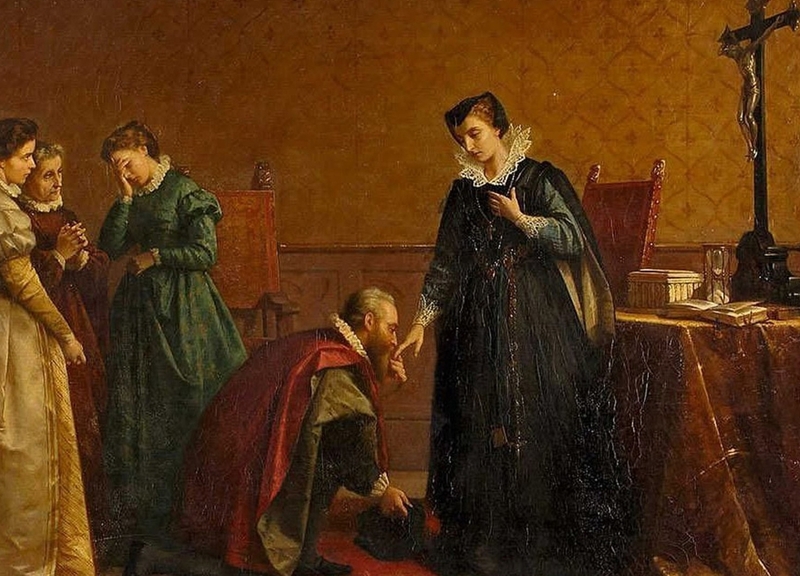 Mary would be converted to Protestantism, be restored to her throne with English help, rule Scotland as an ally to England, and after Elizabeth's death, she would rule England, if she was still living, or her son, thereby settling the issue of the succession. The man they believed to be the perfect husband was Thomas Howard, Duke of Norfolk. Not only was he the richest man in the land but he was the country's only Duke. He was also very eager to marry the Queen and wasted no time in courting her by letter and gifts. But there was one major problem: the lords did not know if Elizabeth would approve of their plan! And, as they did not know, they were afraid to tell her of it. Instead, they plotted the match behind her back. At first, all went well. 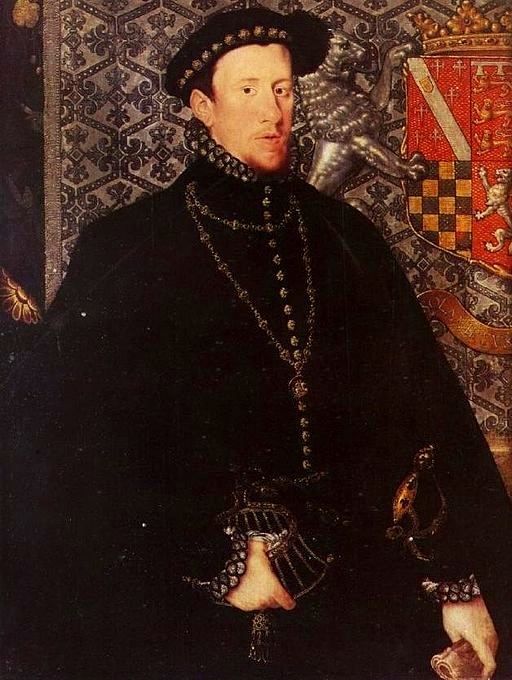 James Stewart, Earl of Moray, regent in Scotland as James was only a child, supported the match and said he would help Mary reclaim her thone if Elizabeth approved of the plan. Mary also agreed to marry Norfolk and to establish Protestantism in Scotland and make an alliance between Scotland and England. However, over the summer Moray changed his mind and said he would no longer support Mary's restoration to the Scottish throne. This was a major blow and effectively ended the lords hopes. The Duke of Norfolk, however, still wanted to marry Mary, and entreated the support of the northern earls. It was this ambition that ultimately brought about the rebellion.